The Hipstamatic folks sent us word that their new 260 update is here, with some rad new features, like Multiple Exposures, Rock the Vote free films, a new switch for the flash, and fully iOS 6 and iPhone 5 capabilities – no more letterboxing. You can now create double exposure (or triple or quadruple) to spice up your photographic styles. It’s available as a $0.99 in-app purchase, and should let you play around with lens, film, and flash combinations to your heart’s content. The Rock the Vote FreePak inlcudes a new camera style and two new filters, or “films,” in the Hipstamatic parlance. According to Life In Lo Fi, “The RTV Film adds boldness and saturation along with a hand-drawn style frame. The RTV Shout! Film adds callouts to the print, such as ‘We will be counted’ and ‘We will vote. '” We can only assume these will be available for a short time. The new flash switch makes it easier to choose either the hardware or the software flash. Whichever you choose, it will stay on ontil you turn it off, which should help in certain situations. The update also includes fixes for the iPhone 5, which help Hipstamatic continue to save images up to 2448×2448 pixels. The Prints and Stacks view has been revamped with support for portrait and landscape orientation, which requires iOS 6 to use. Hipstamatic is available in the iTunes app store for $1.99, and is compatible with with iPhone, iPod touch (4th generation and up), and iPad 2 and up. It now requires iOS 5.0 or later, as well, so if you’re still running iOS 4, you’re out of luck. 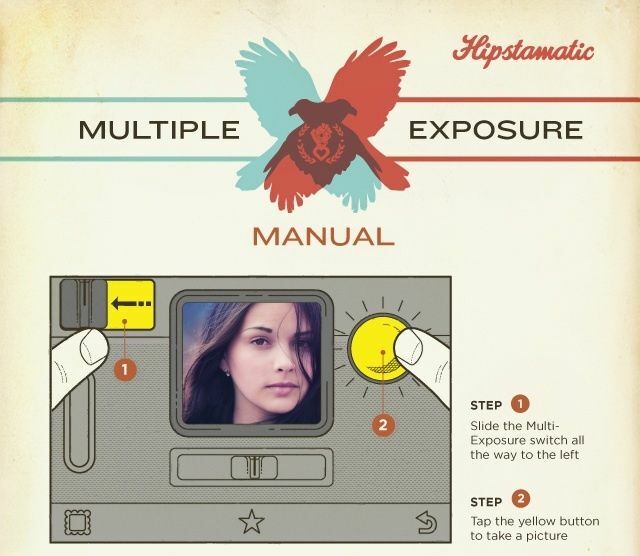 Check out the Hipstamatic blog for some tips on using the new Multiple Exposures feature, as seen in the image above.